The Ossau-Iraty cheese is a traditional sheep’s milk cheese from Béarn and the Basque country. The Ossau-Iraty cheese is a traditional sheep’s milk cheese from Béarn and the Basque country. Its production is carried out in the winter and spring and may continue on the summer pastures for some of the cheeses. It is the only AOP cheese from the Pyrenees. Ossau-Iraty AOP cheese is unique in many ways because its characteristics, guaranteed and protected by the AOP, are the pride of its producers. This cheese offers a huge range of aromas thanks to its 144 farm producers and 20 cheese dairies and maturers, whether it comes from Basque Country or Béarn, and its level of maturation. Each, therefore, has its own particular taste reflecting the expertise of the person who made it. If it is full, it can be kept for several weeks in a suitable place without spoiling. If it is cut, simply wrap it with cling film or a damp towel and place it in a cool place. To eat it, remove from the refrigerator at least 1 hour before serving so that it is at room temperature. The AOP Ossau-Iraty cheese is called “de garde” (long maturing) and keeps for a long time. 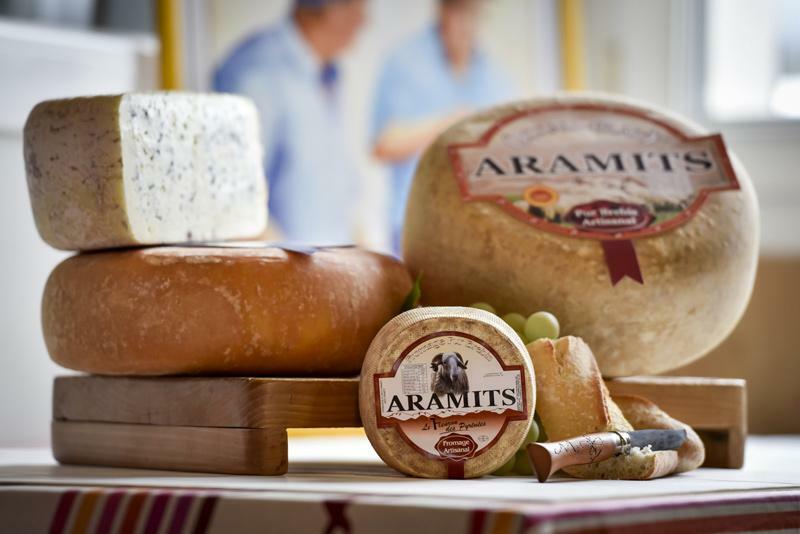 Ossau-Iraty AOP cheese was crowned the World Cheese Awards 2011 best cheese among more than 2700 cheeses by a jury of 200 people !